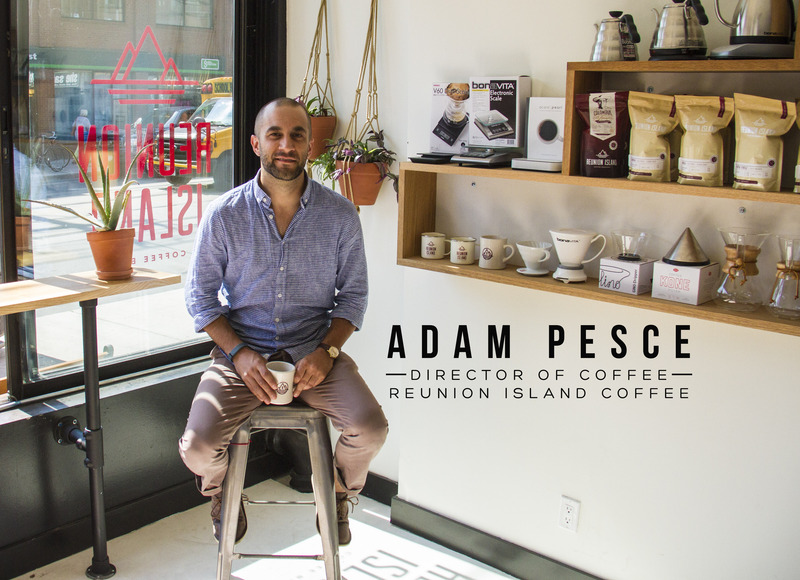 Adam Pesce is the Director of Coffee at Reunion Island Coffee, an award-winning, B Corp-certified specialty roaster and wholesaler, based in southern Ontario. He is a long-standing member of the SCAA’s Sustainability Council, and along with Grounds for Health, he is also on the boards the Coffee Association of Canada, Klink Coffee, the Central Canadian Barista Competition, and the Covenant House Sleep Out: Next Gen organizing committee. Adam has travelled around the world as a speaker on sustainability in coffee, and extensively as a buyer in coffee-producing countries – developing direct trade relationships in Tanzania, Nicaragua, Guatemala, Papua New Guinea, Honduras, Costa Rica, Colombia, and Brazil. He has been a contributor to the Huffington Post on coffee and sustainable agriculture, and is currently putting together a book on the same topic. What inspires you? I’m constantly reading, listening to podcasts, and watching docs in search of inspiration, but I really don’t have to look any further for it than to the people around me and in my life. I can’t believe how fortunate I am. My friends, my family, my co-workers, my peers in specialty coffee – they all inspire and push me to do better and be better. Also… Indiana Jones (excluding Crystal Skull of course). What should people know about how you do things at Reunion Island that sets you apart from the pack? There is no shortage of terrific coffee out there these days, and I would confidently put ours up against anyone’s and know that we are up there with the best. But what we do better than most though is the marriage of quality and sustainability. When we started down the path of developing our sustainability programs, it was commonly believed that quality and sustainability were mutually exclusive concepts. They aren’t. And still, a large portion of the coffee industry believes that the way they buy coffee (direct trade, fair trade, Rainforest Alliance certified, etc.) is where their responsibility begins and ends. 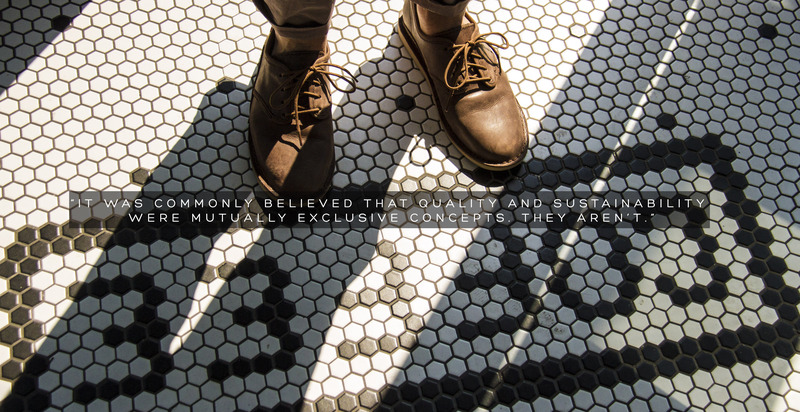 We believe the supply chain is just a piece of the sustainability puzzle. So we work closely with our farming and supply chain partners, but also work with NGOs locally and abroad, use renewable energy, are carbon neutral, and look at our operation on a micro level to find all the ways we can shrink our footprint and work more efficiently. Who is someone you consider admirable in your field? 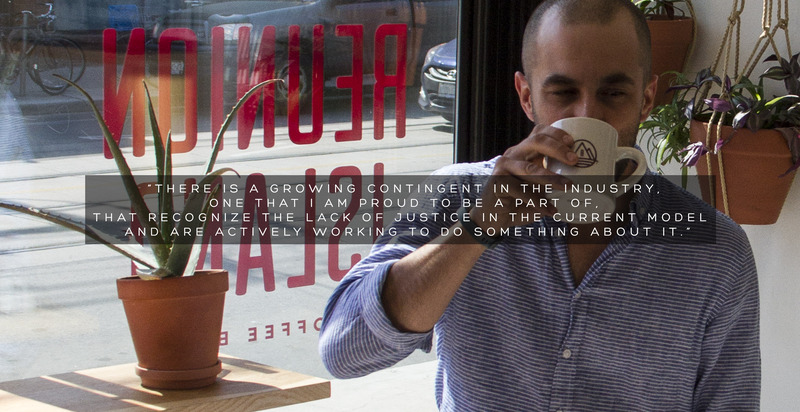 The specialty coffee world is filled with incredible people – too many to mention. So much so that the intro to the book I’m working on focuses solely on why the caliber of the people in coffee are so extraordinary. My hypothesis is that there is a correlation between the travel that is required to do coffee well and the industry-wide sense of empathy and passion. Coffee is grown almost exclusively in developing countries. It would be next to impossible to visit coffee farms and not want to do more for the people of those communities who work so hard and get a small piece of the value of their work back. There is a growing contingent in the industry, one that I am proud to be a part of, that recognize the lack of justice in the current model and are actively working to do something about it. Any travel adventure stories? Loads. Coffee has literally given me the opportunity to see the world and it is grown in some of the most interesting places I could have ever imagined. The coffee community is a tight group, and we often travel together to origin, so there is a constant trading of stories, while we’re out in the world creating new ones. The story I get asked most about though is my first trip to Tanzania. I was traveling to Mbeya, which is way out in the southwestern corner of the country. It was a 24 hours flight, a 12 hour bus ride, an overnight in what would be generously described as a roach-motel, 2 hours on chicken bus, 3 hours on top of a truck, and a 7km walk to the farm. There was no running water or electricity, I had a close encounter with a green mamba, almost got arrested for having the wrong visa in my passport, and then had to do the whole trip in reverse 5 days later to get back to civilization. Luckily my travel companion was David Robinson, Jackie Robinson’s son who had become a coffee farmer late in life, so I heard some incredible stories about his father and literally being a part of the civil rights movement as it was happening. A shower would have been nice though. Where do you see Reunion Island in 10 years? Well the company turns 20 this year, so it’s been an introspective time for us. Last year was a big one – coming in 2nd place at the national Barista Championships, winning the Roast Magazine Roaster of the Year Award, redesigning our brand, launching a new website, and overhauling a lot of our internal practices and systems. 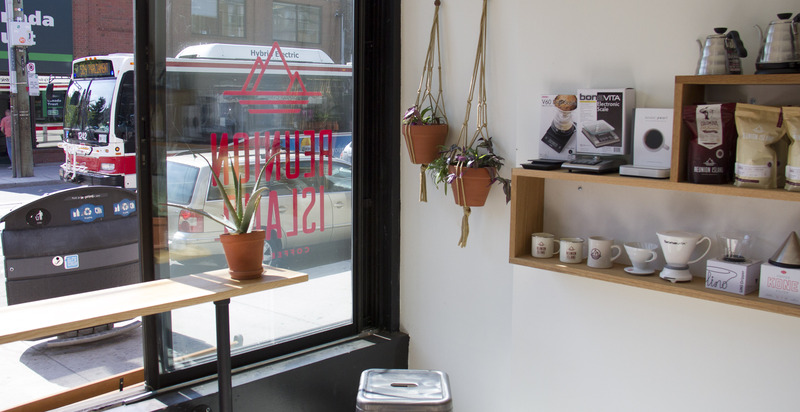 Then this year, we went ahead with a long-time personal dream of mine and opened our first-ever flagship café. I think it all points to an even bigger next 10 years for us. For the past 20 years, we’ve been mostly a behind-the-scenes business-to-business kind of company, and now we are stepping out into the light and will be actively working to become a more consumer-facing company. It’s exciting times for us – I think we have a lot of great stories to tell and finding a bigger audience for those stories is a big part of the plan. If you could sit down with one person, living or dead, for a cup of coffee, who would it be and what would you want to talk about? My grandfathers… both of them passed when I was five years old, so I never really knew them. I often wonder what life would have been like if they were around a little longer, and how their influence on me would have affected my course in life. 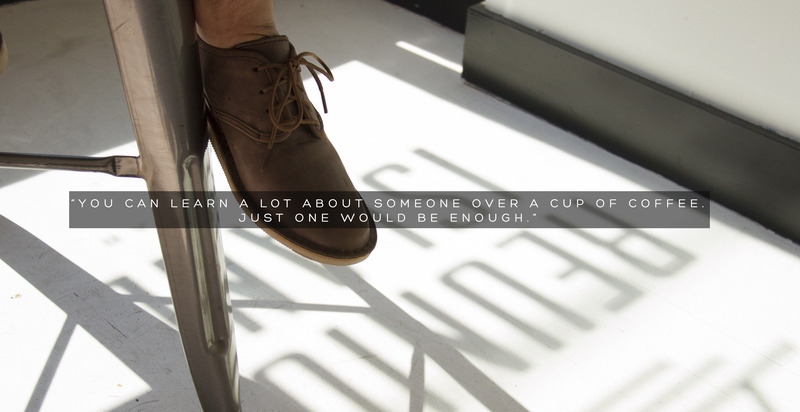 You can learn a lot about someone over a cup of coffee. Just one would be enough.